Thank you to our billboard sponsors! Crime Stoppers of Halton is joining the effort to combat crime against wildlife and nature. A Successful Crime Stoppers Month Launch! Cargo Theft Launch To Raise The Public’s Awareness. As Halloween approaches, Halton Crime Stoppers wants everyone to have a happy and safe Halloween! Halton Regional Police Services Board Presents Donation to Crime Stoppers of Halton. "See Something, Hear Something, Say Something" January is Crime Stoppers Month! 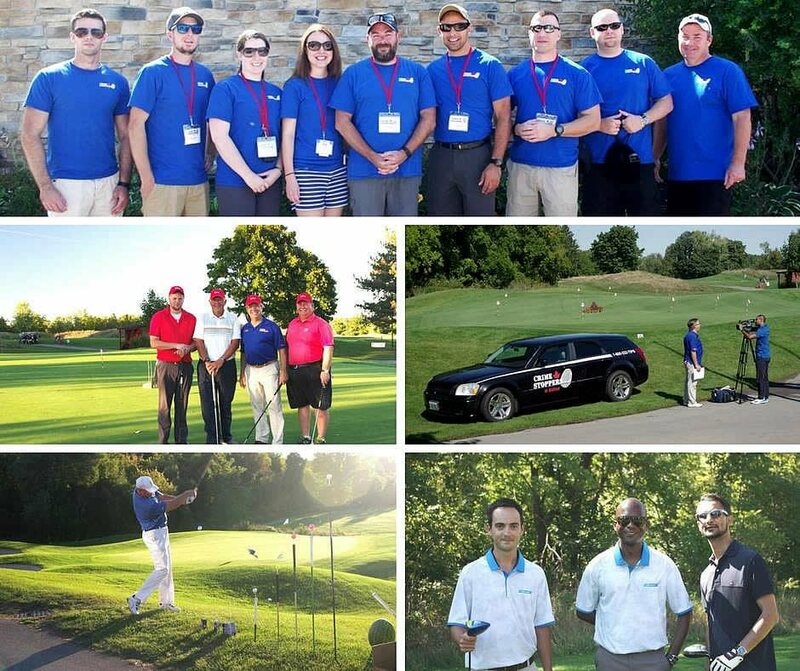 From everyone at Crime Stoppers of Halton, thank you to all of our participants, sponsors and volunteers for your generous support of our 9th Annual Charity Golf Tournament. It turned out to be a wonderful success! We could not have done it without your help! It really turned out to be an enjoyable and exciting day. Thank you for helping us keep Halton Region as the safest regional municipality in Canada to raise a family or do business. Together, with your support, we hope to continue this annual event that will bring the community together and raise funds for this important organization every year.